CBD, which comes in a wide variety of forms including salves, edibles and oils, does not produce the high typically associated with marijuana. But CBD seems to help people deal with pain, inflammation and even seizures. 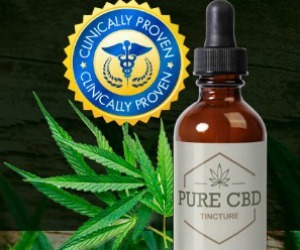 Click to order a free trial bottle of Pure CBD Oil and just pay $5.95 for S&H after mail-in rebate.